If you were expecting another Galaxy J series phone from Samsung, you'll be disappointed to hear the South Korean company will no longer launch any products with this name. That's the bad news, but the good news is Samsung will continue to release affordable Android smartphones, just under a different moniker. Samsung Malaysia published a video early this month that clearly says the Galaxy J series becomes Galaxy A. The announcement doesn't really come as a surprise since Samsung has only launched Galaxy A and M series phones this year. The fact that the Galaxy J phones have taken a beating lately in most markets is probably the main reason Samsung has decided to the series needs a complete overhaul. And since the Galaxy A lineup was better viewed by customers, the South Korean company made the choice of integrating the Galaxy J series within one that's more appealing to consumers. The video that announces the change ends with the tagline “Built for the Era of Live” and emphasizes on some of the most important features of the new Galaxy A series: long battery life, fast charging, multi-lens cameras, and on-screen fingerprint scanner. Of course, not all of these features will be implemented in every new Galaxy A series phone, but many of them will have at least one of these specs. The complete removal of the Galaxy J family might also mean that Samsung won't be competing at the entry-level tier in developed markets like Europe and the United States, since the majority of its new Galaxy A phones have mid-end specs. The M series phones on the other hand, which have been specifically built for the Indian market, are certainly some solid affordable devices meant to be sold in emerging markets. Currently, Samsung gains a lot more from selling its flagship smartphones than from cheap smartphones, but when it comes to mid-tier devices, things change a little bit. Samsung has already launched five new Galaxy A series phones this year, but the lineup's main launch event has yet to happen. Besides the Galaxy A10, A20, A30, A50, and A70, Samsung has at least three other smartphone ready to be revealed on April 10 – the Galaxy A60, A80 and A90. While both feature mid-range specs, they are meant to offer the same premium feel that you usually find in flagships. Hopefully, prices won't be as high as those of Samsung's top-tier phones. More importantly, Samsung's Galaxy A series of phones should be priced lower than some of the more affordable flagships that you can now find even in the United States, such as the Nokia 9 PureView. 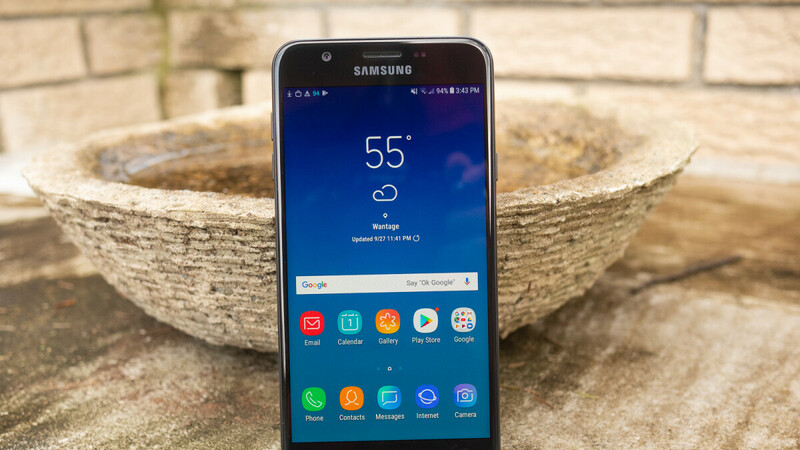 It looks like Samsung has no intention to drop support for any of the Galaxy J smartphones available on the market, which are eligible for major Android OS and security updates. The South Korean company has provided a steady wave of Android 9.0 Pie updates in the last couples of months, and some of the Galaxy J phones received the update as well. Although some of the most recent Galaxy J phones might be eligible for another important software update like Android Q, only time will tell whether or not Samsung will provide users with the same level of support. I'm all for them removing the J series in favor of A. Get out of the entry level and let Moto, LG and Alcatel take care of that section. At the same time I feel Samsung can't help overstating themselves with 9 phones in the same lineup. IMO 3 would be enough. Give them all a decent camera, display and battery life. Make one with a polycarbonate body with removable battery and a single camera. Make the other two unibody glass with dual cameras and wireless charging but 2 different sizes. For $150 on T Mobile, the J3 was a nice deal. I hope they continue that with an A whatever. Don't forget On and C series. Dunno if they are also scrapped or not. There is no On, C series in 2019. These series are the new "M"
So many phones with 6" size?.. Why there are no compact phones?. 5 to 5.5" form factor with good specs?